I peeled, cored and chopped the apples. Next time I'll add rum soaked raisins. 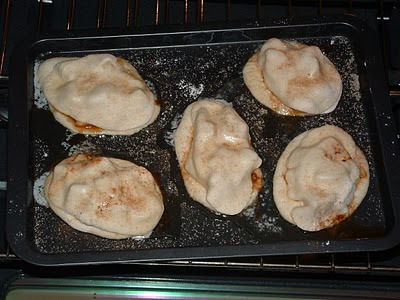 Then I sprinkled them with cinnamon and sugar and tossed them well. 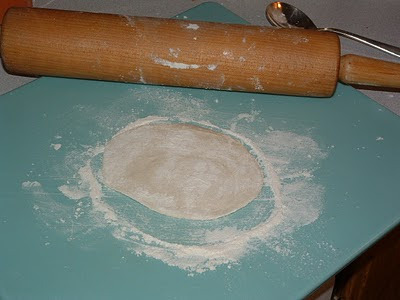 I flattened each of the biscuits with a little additional flour. Topped 5 of them with the apple mixture. 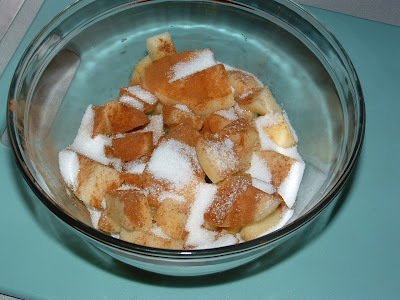 Then draped the apple mixture with another flattened biscuit. 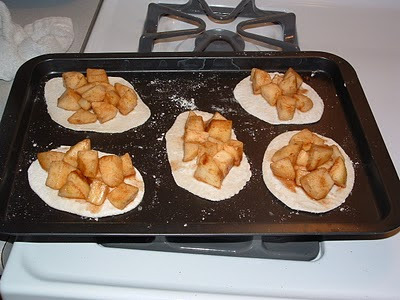 I brushed each one with butter, sprinkled with a little cinnamon sugar and baked 10-12 minutes. 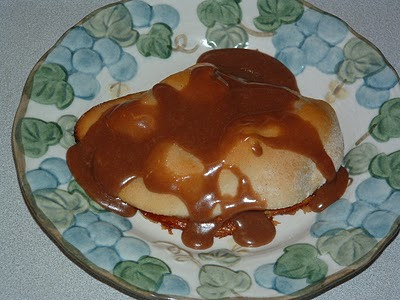 After they were baked I topped them with Mocha Caramel sauce and voile' my family loved me again. Next time I will also add a creme chantilly sauce. Beat cream in medium sized chilled bowl with chilled beaters until soft peaks form. Ad brandy and sugar to taste, beating until stiff peaks form. DO NOT OVER BEAT! Toss in the milk chocolate chips and blend until smooth.